​Students taking the daytime program will follow the same course schedule from 9:00 AM–2:30 PM. During the first 24 weeks of the program, students will also take the Work Placement Skills Course (Part 1 & 2) during the afternoon 2:45-4:00 PM block to prepare for their co-op. After completing the final course, students will start their co-op work experience term. At the end of the work experience term, students will return to Greystone College for 2 weeks of Post-Placement Study, and graduation. Prepare students for careers in hospitality by presenting and describing opportunities in hospitality management. These opportunities include careers in a variety of businesses, including hotels, restaurants, institutions, private clubs, casinos, consulting rms, travel agencies, and cruise ships. No property can be pro table without clean rooms and efficient housekeeping operations. Learn what it takes to manage this important department. This course provides a thorough overview, from the big picture of hiring and retaining quality staff, planning, and organizing, to the technical details for cleaning each area of the hotel. In this course, students will prepare for the Canadian workplace. This course is very useful to students registered in a Co-op program. It rapidly prepares students to apply for jobs and ensures their resumes and cover letters are to the business standard. Additionally, it helps students through the process of applying for a tax file number (SIN). During the co-op work experience, students will put their skills into practise in a local workplace in a position related to their specific program objectives. Students will be required to complete job tasks as assigned to them by the employer. 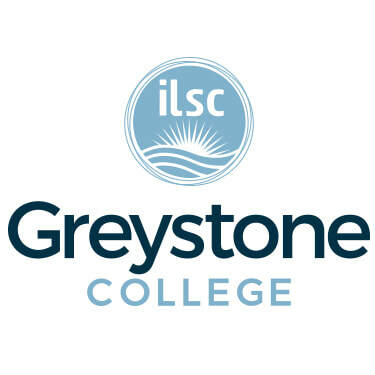 In addition, students are required to provide regular feedback (monthly, mid-term and final) on their work experience to Greystone College using prescribed reporting forms. This course follows up with students after their work experience term. It provides the student with a new perspective of their goals and achievements and prepares them to take the next step when they leave the program.